A course full of killer licks and techniques. 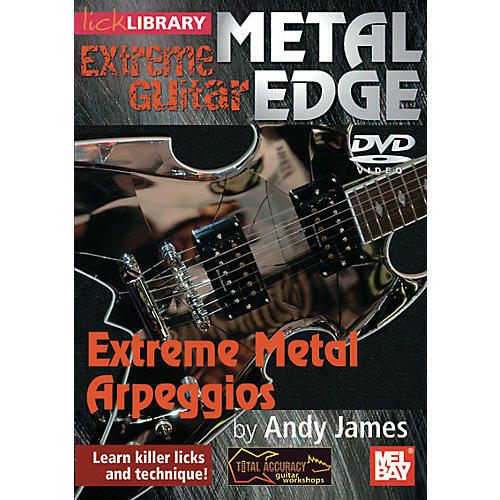 The Mel Bay Metal Edge, Extreme Metal Arpeggios DVD includes killer metal licks for major, minor and diminished arpeggios along with sweep picking arpeggios, string skipping, combination sweep and skipping, and even 3 octave tapping arpeggios, from the basic mechanics to full shred! His blistering technique has been applauded by guitar legends such as Vinnie Moore, and featured on Sky TVs Musicians Channel.